Finally… it’s up! My interpretation of a Farmer’s Wife Block Pattern I saw over in the Flickr group- I’ve played around with the sizes to bring it up to a 12.5″ finished block. 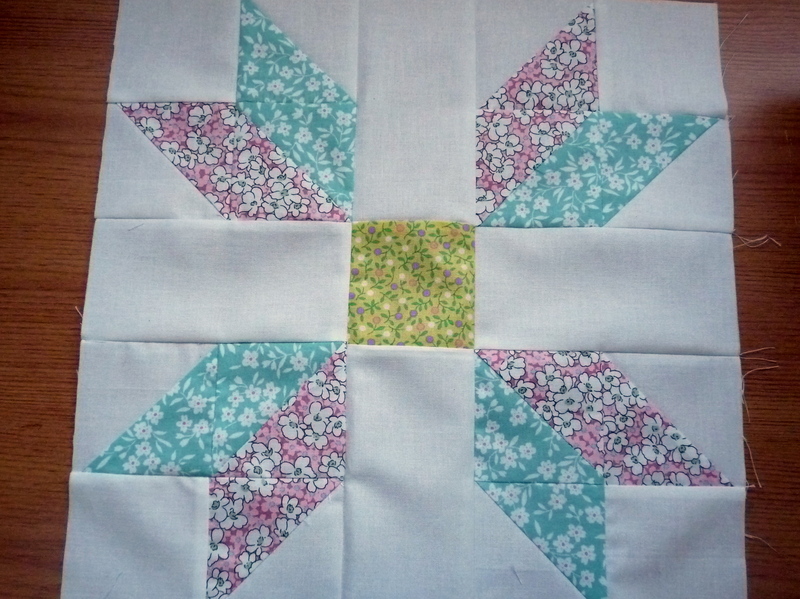 This is the block I have chosen for my fellow Bee Europa to create for me and I also hope that some of you taking part in the Come Quilt With Me series will find it interesting too! I hope you all have as much fun with this as I did! I’ve tried to keep my method as simple as possible but if you aren’t sure about some of the construction methods there are links to previous tutorials. 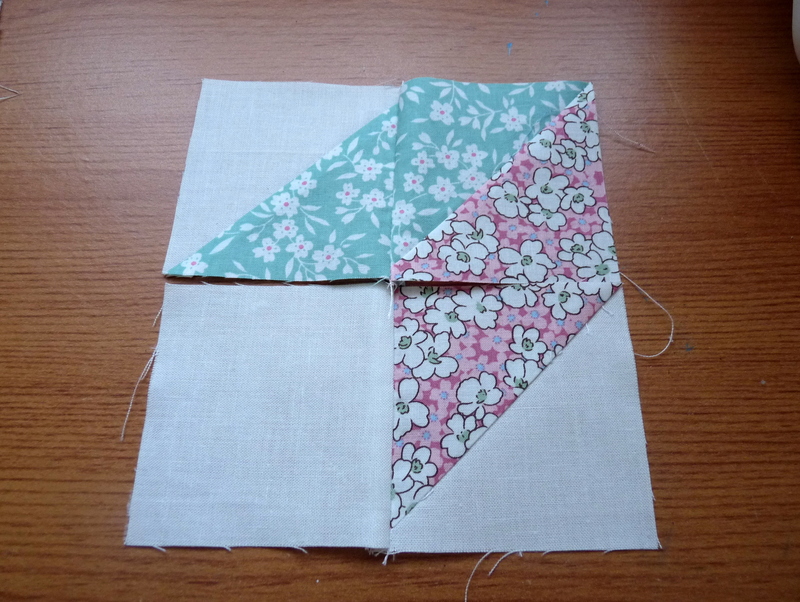 First you will need to create the half square triangles (HSTS). If you are not sure please see this post on how to do it. 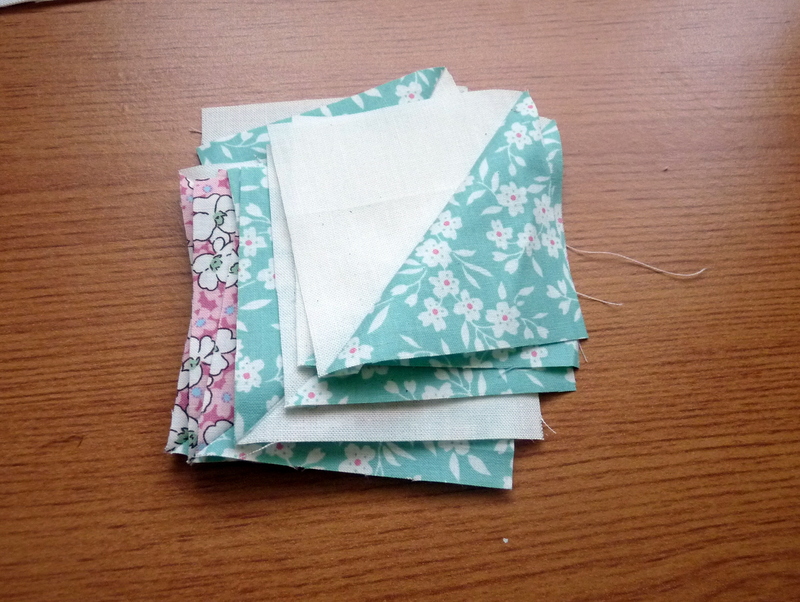 When you trim your squares down to size trim to 3″ square. When you are done you should have a nice collection! It’s time to arrange the layout. Each “petal” of the block is essentially the same, it is just arranged differently around the centre. 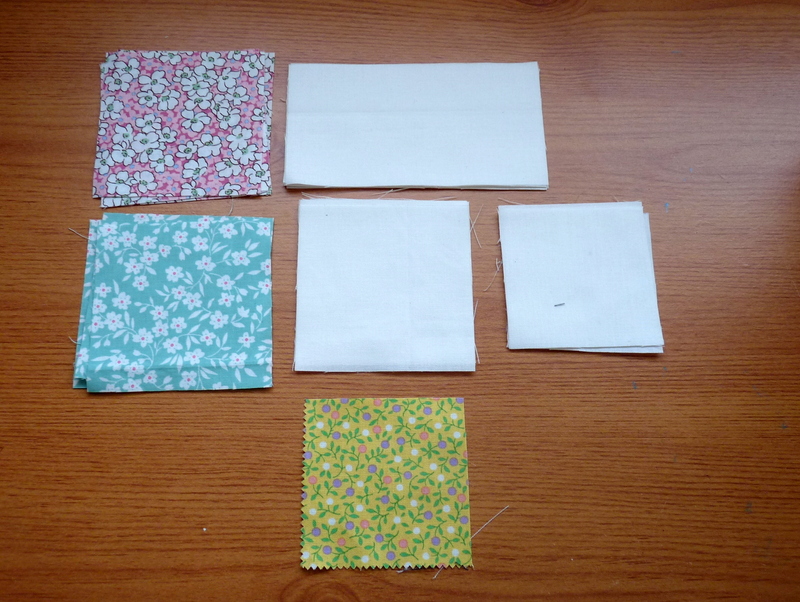 Take one of each type of HST previously created and a 3″ cream square- arrange as above. You will need to create four of these. 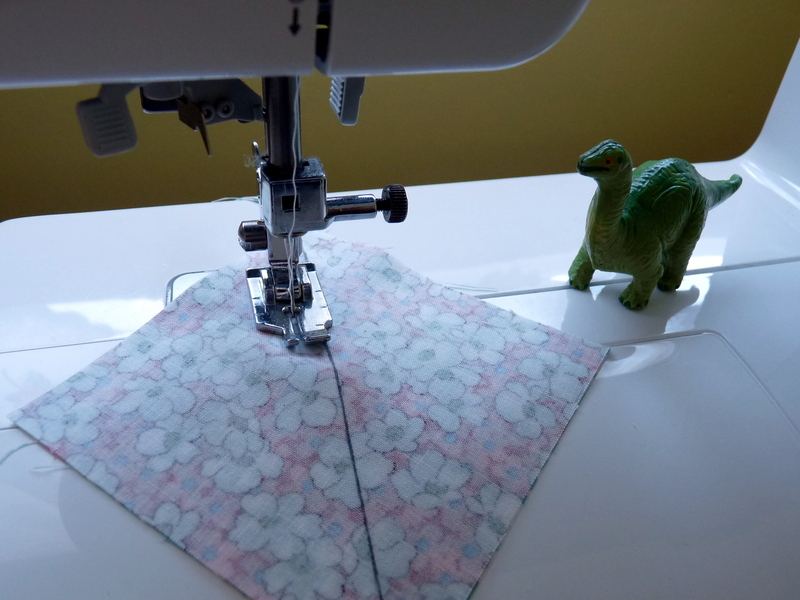 To achieve a decent point I found nested seams the best method (details here). Take care when arranging your petals to ensure it is in the correct place. 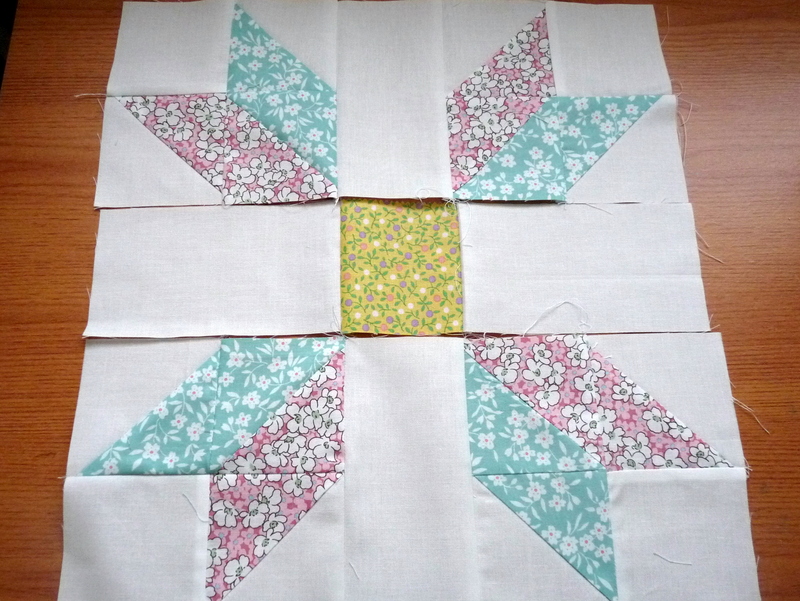 Once your rows are done you can turn it into a block! Again if you nested seams it will help with your points. How was that? 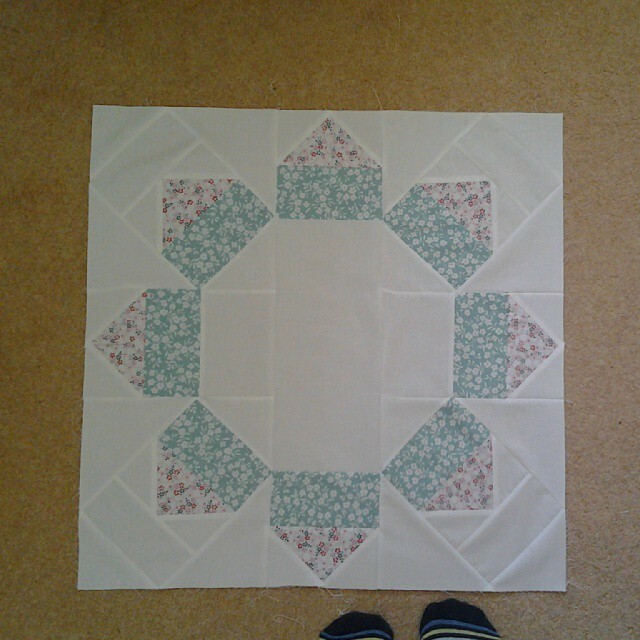 In case you are wondering what my plans are for this quilt is to have all these flower blocks surrounding my huge 22″ Octagon Flower block. Some kind souls in Bee Europa are helping me out with a longterm pet project of mine. An EPP wallhanging using Rain Basics and Heaven and Helsinki. Aren’t they gorgeous? 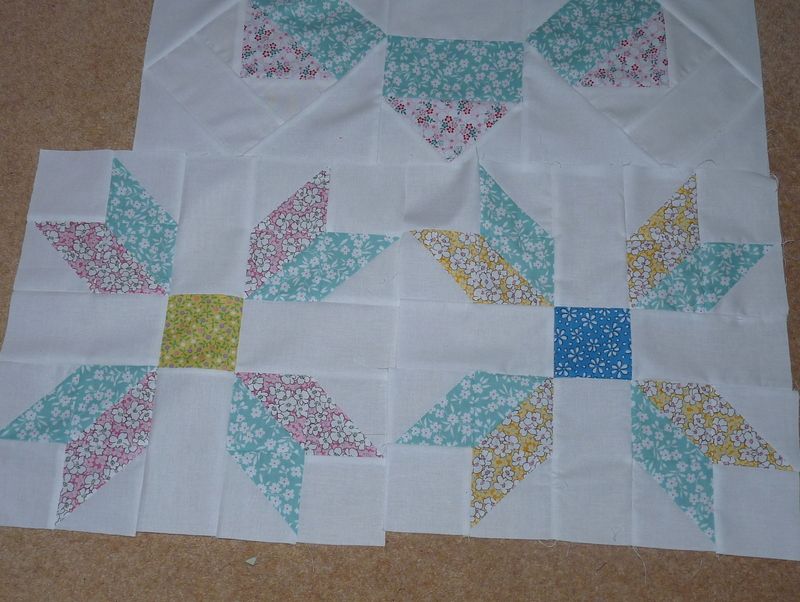 Tomorrow I’ll go through the basics of EPP and the block I’ve chosen. You can find it here. Bit sparse at the moment but don’t let that stop you from adding photos, discussions etc! 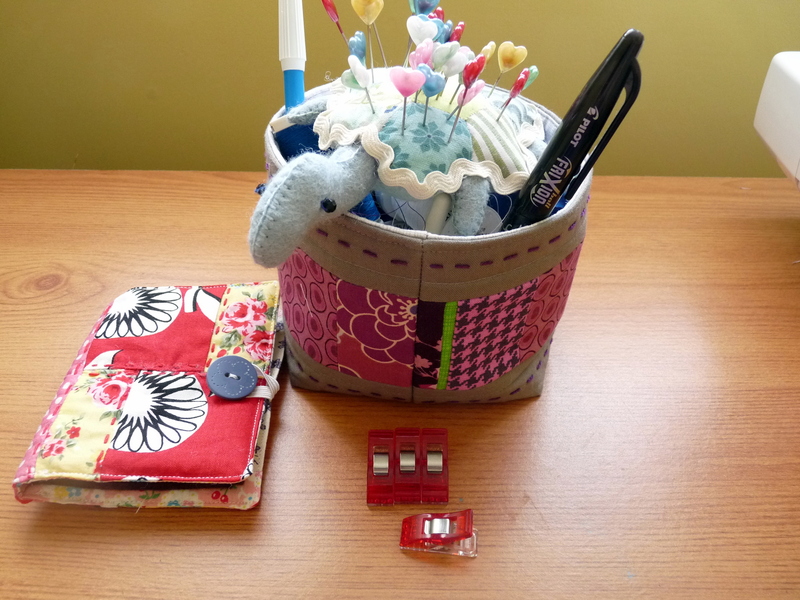 Right so these are some of my sewing essentials just to give you an idea about me. 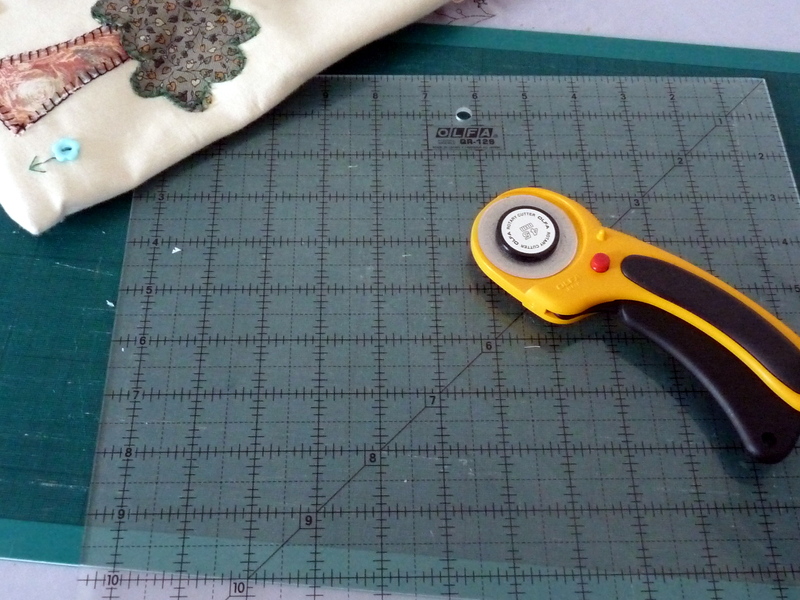 I don’t think I can part with my self healing mat, rotary cutter and square ruler! They help so much for accurate cutting and piecing. 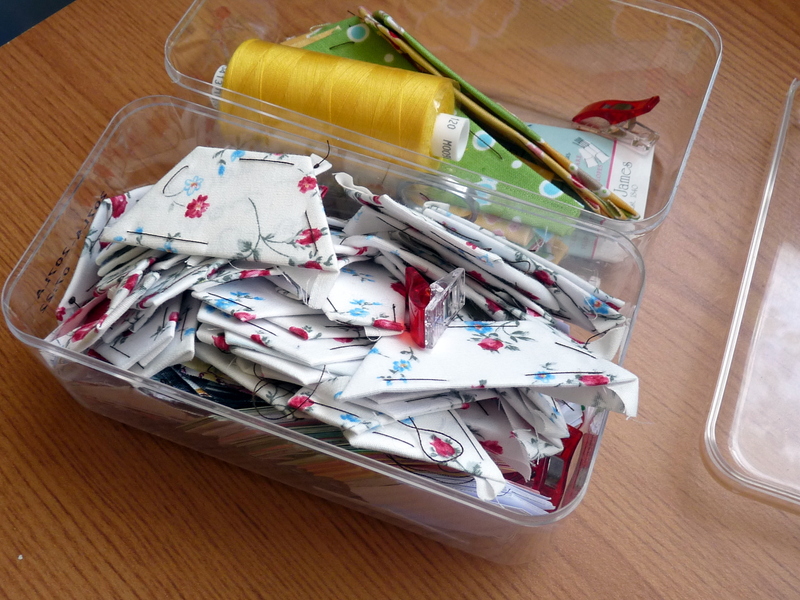 When I first starting sewing I did over 56m of bunting for my wedding all hand cut with scissors. I shudder to think of that now! 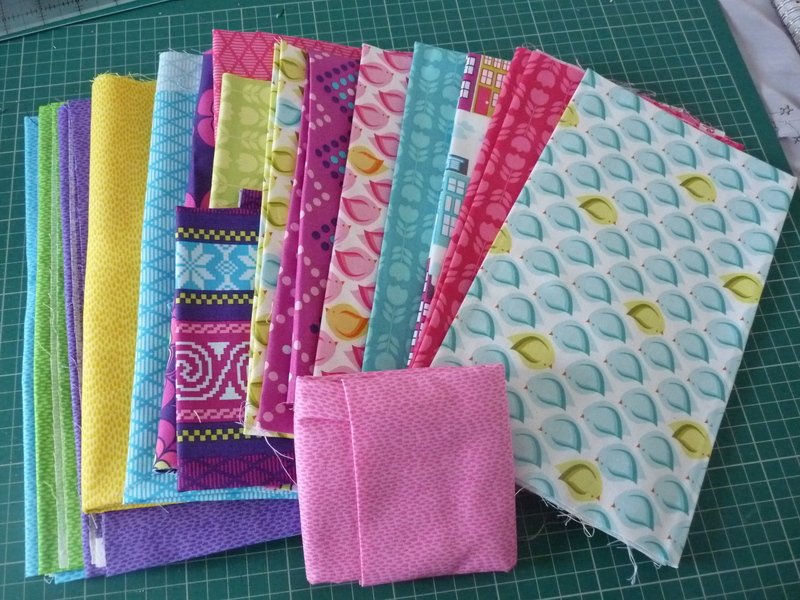 Now you can do patchwork and quilting with scissors but I do find it easier (and maybe as I’m lazy- quicker) with a rotary cutter. Now this is def one of my fave essentials- since I discovered them last year have not looked back. Clover Wonderclips- mostly used for binding but like many I use them instead of pins on EVERYTHING. To be honest I can’t remember the last time I used a pin. 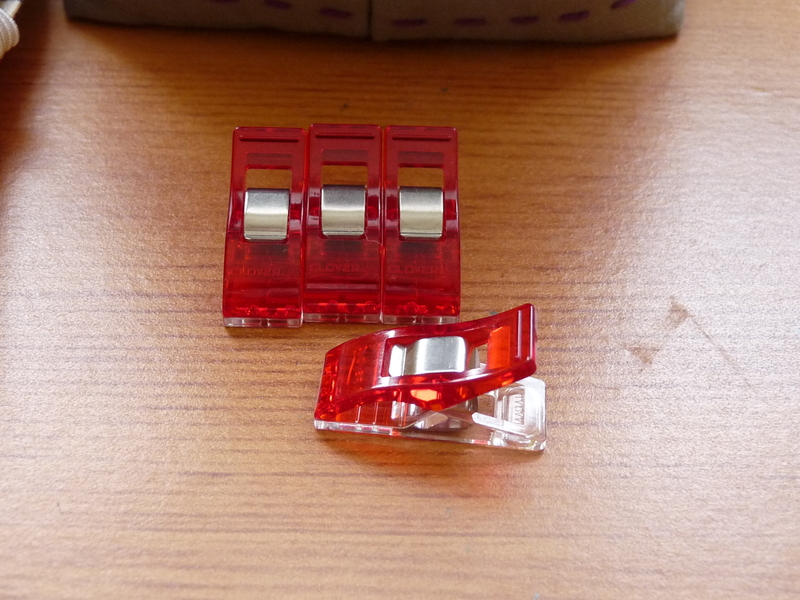 These have flat bottoms that are easy to slide out as you approach your machine foot. 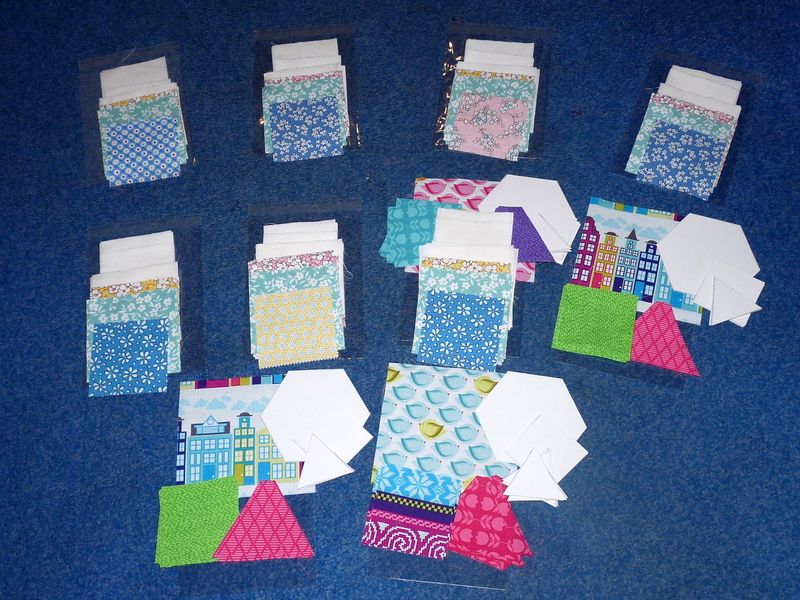 Ok I confess I’m an EPP addict and I *acquired* these from the hubbie. Ferero Rocher tubs previously used to store Games Workshop models (yawn) now hosts hexies and my on the go project which tends to go everywhere with me! So what are your essentials?